Entertainment Desk: Green Book has won the Oscar for best picture at the 91st Academy Awards. Based on a real-life road trip through the deep south in the early 1960s, Green Book’s victory proved a considerable upset at the awards, after a night largely marked by predictability. After Alfonso Cuarón took the best director award for Roma, a victory in the main category – to add to its best foreign language film and best cinematography wins – had seemed a certainty. But the apple cart had already been upset 10 minutes before, when Olivia Colman snatched the best actress gong from frontrunner Glenn Close. And the warmth with which Academy voters had greeted Green Book was already proven by its wins in the best original screenplay and best supporting actor category. In their speeches, the producers explained that the film was about “living together despite our differences”; they also dedicated the award to the late Carrie Fisher. Named after the motoring handbook originally designed to help African American travellers avoid dangerous areas in the pre-civil rights US, Green Book is the story of black concert pianist Don Shirley and his Italian-American bodyguard/driver Tony Vallelonga, AKA Tony Lip. It is directed by Peter Farelly, and stars Viggo Mortensen as Vallelonga and Mahershala Ali as Shirley. 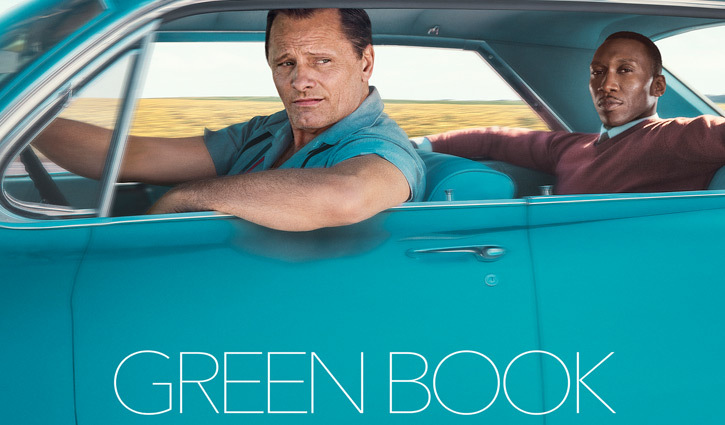 Prior to the Oscars, Green Book won a string of high-profile awards, including best picture (musical or comedy) at the Golden Globes, and the influential People’s Choice award at the Toronto film festival.